Hey girl hey! 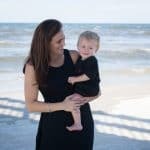 I’m Heather, resident Social Media Manager here at Daily Mom, and one of Daily Mom’s OG’s – I’ve oh-so-proudly been here since day 1! 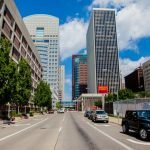 I’m also currently feeding my entrepreneurial spirit as a wellness coach, and doing other little side jobs here and there to help support our family. I have three children, so you can imagine, life is quite busy and chaotic around here (almost as chaotic as trying to get a photo with all three kids looking at the camera and not making a goofy face). 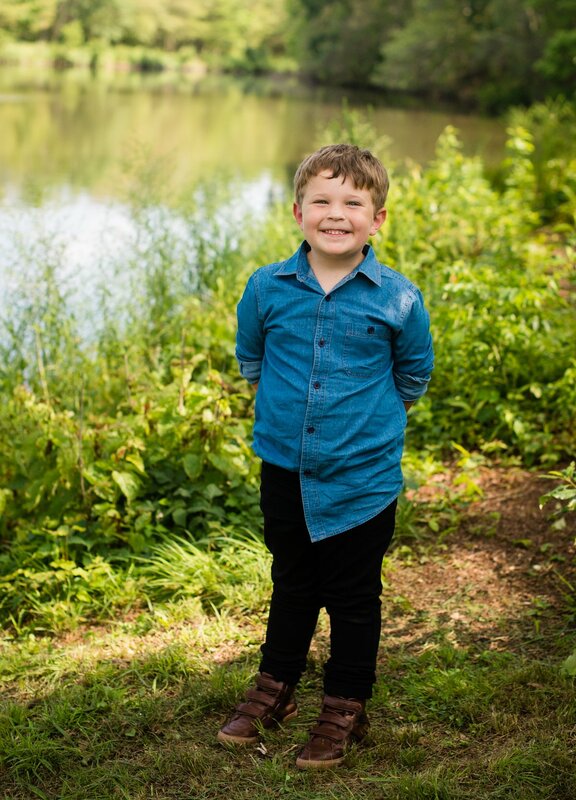 This year, Ben (5) is starting full-day kindergarten, after three years of preschool (bless his November, post-school-cutoff-date birthday), which I’m equal parts excited, sad, and nervous about. And Julia (3) will be off to morning preschool three days a week in the fall, for the very first time. Our baby, William, turns 1 in October and obviously doesn’t want to be left out of the fun of the back-to-school season. 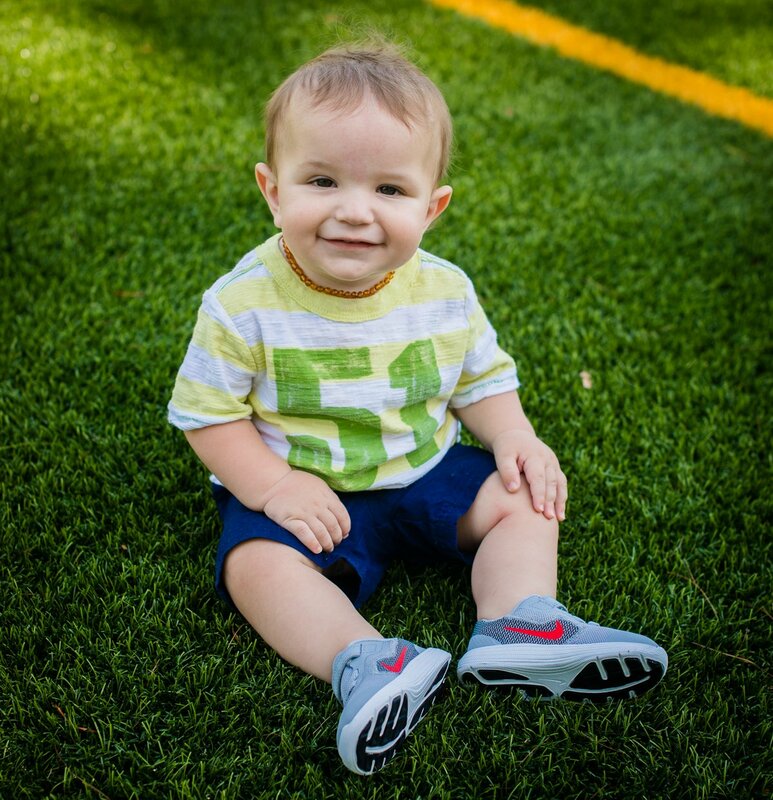 He’s teetering on the edge of starting to walk, so we’ll have a toddler on our hands before you know it. So many firsts around here! I’ll be honest, I’m feeling a little panicky about all the firsts that are happening. What will the kids wear to school? How will I get all three of them out the door on time? How will I keep track of all their paperwork? What will they eat at school? Won’t they be exhausted? How will I get things done around the house with William walking and getting into everything? 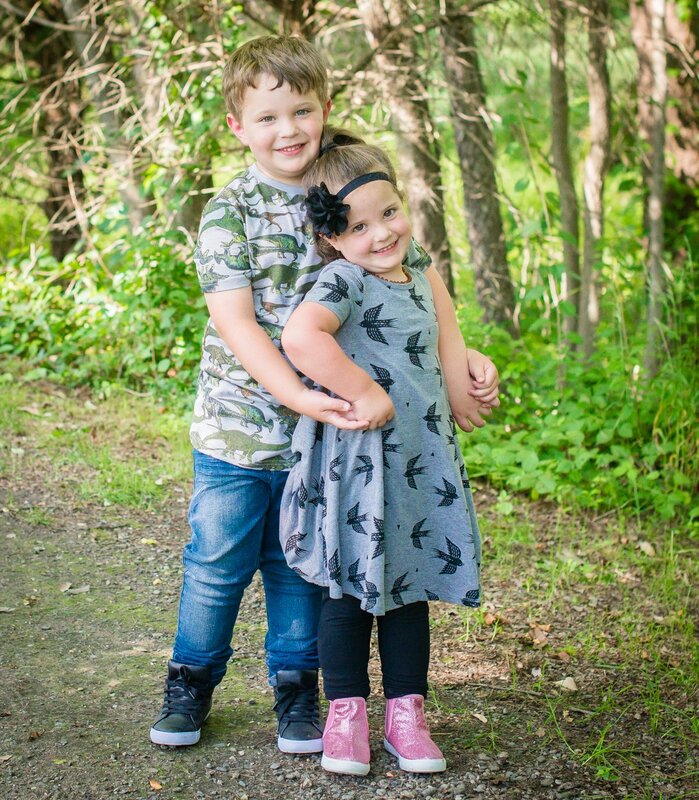 How are my babies this grown up already? Luckily, I’ve found a few things to ease my mind and make the transition easier for all of us. I’m a firm believer that learning starts at home. 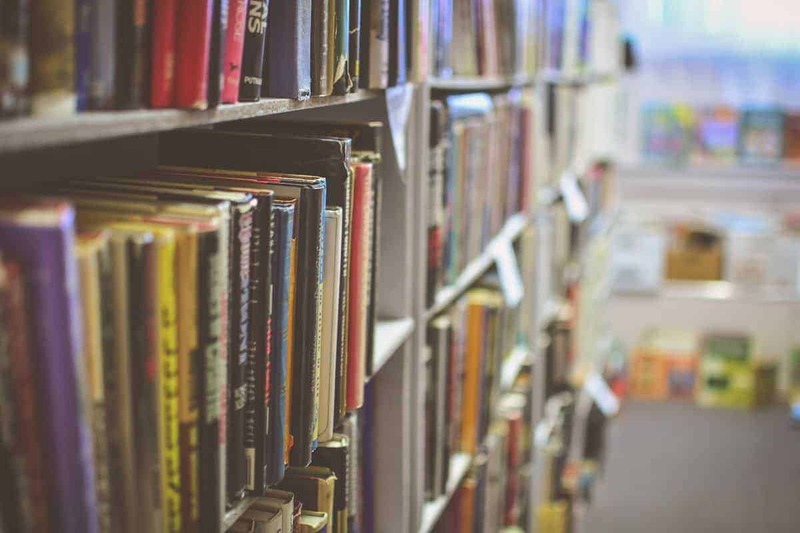 We can’t expect our children to learn everything at school – as parents, we have to take some ownership and responsibility over reinforcing learning right at home. 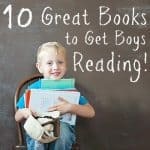 But it can really be overwhelming to figure out the best – and most engaging – way to do this for our children. Go to Pinterest and search “home learning activities,” and you’ll get thousands of hits within one second, which can be enough to make you shut down your computer and say, “Maybe I’ll do this tomorrow.” Little Passports makes learning at home oh-so-easy. Ben has been asking me for a Little Passports subscription for two stinking years. Two years, I have been listening to him shriek with joy when the commercial came on TV, and heard him yell, “MOM! 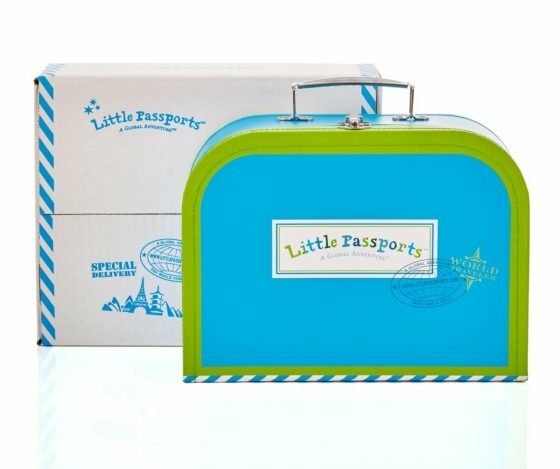 I want Little Passports!” And I have to say, this monthly subscription box has exceeded all his expectations. You can shop by age and theme, and buy one month at a time, 6 months at a time, or a full year’s subscription. As the daughter of an elementary school teacher, I know the importance of learning at home. 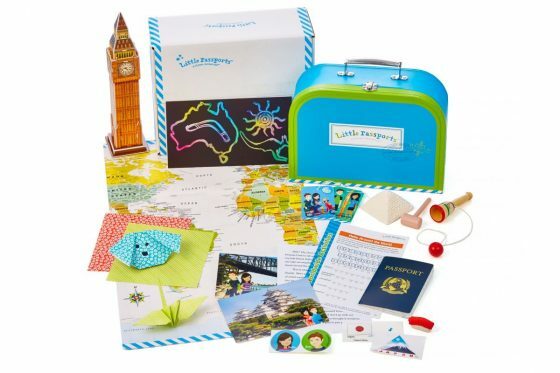 Little Passports is perfect for helping to continue our child’s education after school hours. We selected World Edition, and couldn’t be happier with that choice. 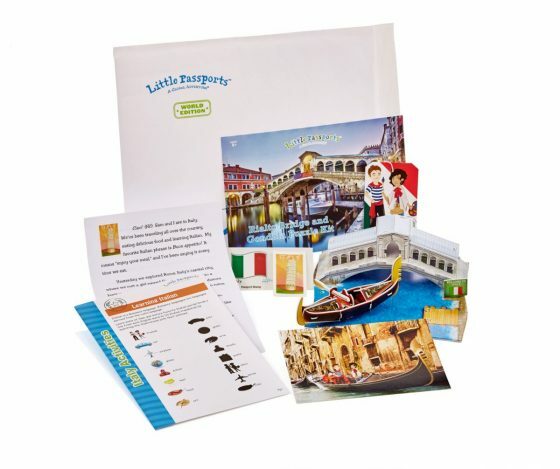 Each month, a new box arrives, featuring a new country to learn about – chock full of activities, stickers, souvenirs, and access to online games. As a kid, there’s nothing like receiving something in the mail – whether it be a letter or a card – but a package? Talk about knock your socks off. When this box arrives, Ben just about loses his mind. It’s something special just for him, and he has a complete blast doing the different activities each month. And the best part? He’s learning and he has no idea. Any time I suggest we read a book or do something clearly educational, I get the big ol’ eye roll from him. 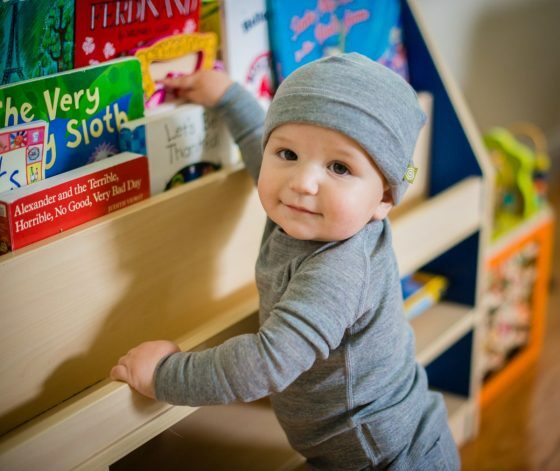 Little Passports lets him learn while having fun – and he has no idea these boxes are helping him grow! 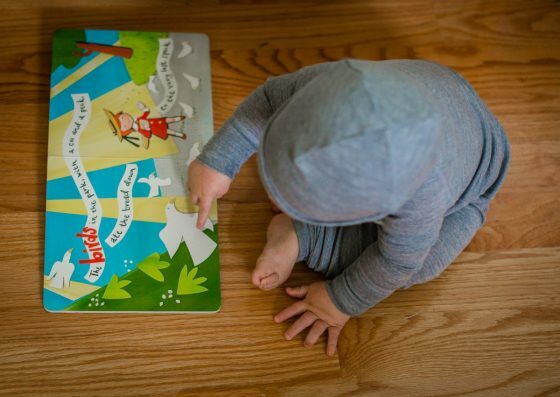 I can’t wait for him to start kindergarten and have the chance to show off his knowledge, as I know he will be ahead of the curve thanks to Little Passports. Let’s be honest, guys. 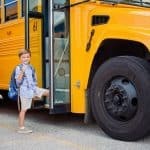 What’s the worst part about back-to-school season? The frigging shopping. I literally have zero interest in packing up all three kids, going to multiple stores, wrestling kids in the fitting room, begging them to just try. it. on. one. time. Ain’t nobody got time fo that. Enter FabKids (and angels singing). Shopping is easy peasy, and your child is guaranteed to love his or her new clothes (enough to, without any instruction, pose like it’s prom, as seen above). Why? 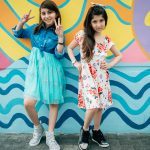 Because when you sign up for FabKids, you create a profile for your child, going through a series of questions to help FabKids learn about your child’s unique sense of style, so that they send you suggestions that your child will love. 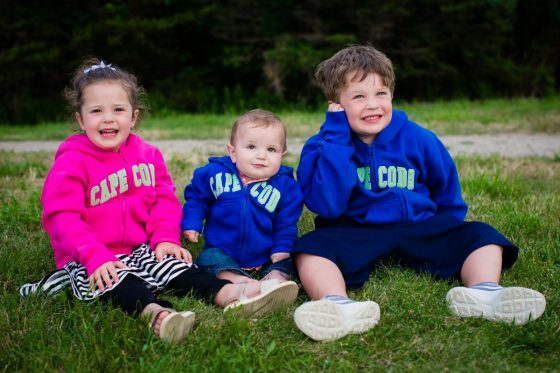 Once you fill out the profile, you can go into FabKids’ virtual closet, and select outfits for your little one. They’re constantly refreshing inventory, so there’s always new looks to try. I’m not sure what the best part is (it’s all awesome! ), but the fact that these picks are budget-friendly and affordable – well, that’s definitely near the top of my list! 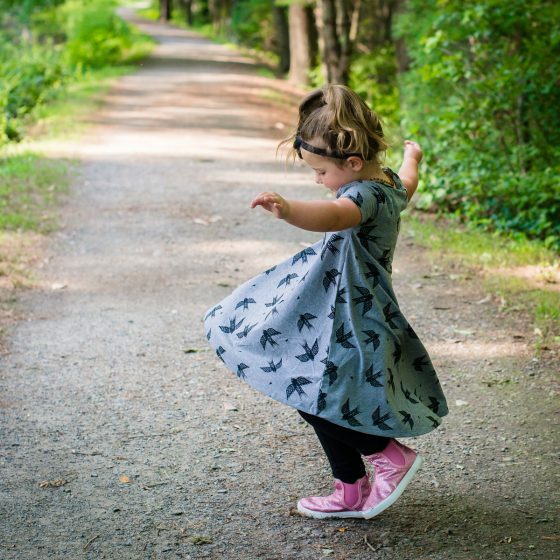 Julia straight up freaked out in the best way possible, when she tried this Hi Lo Bird Print Dress (though in our family, we call them “long shirts,” because God forbid we try to put her in a dress), because “It’s so twirly, Mommy!” Between the twirl factor, the matching comfy black leggings, and the sparkle high-tops, she was in love. There is literally nothing I enjoy more than an actual stylish outfit that I love for her to wear, that she loves wearing too. No morning clothing arguments before school; she just happily gets dressed and gets out the door. This outfit is at the top of my list of favorites because she can put the clothing on herself, which saves me a heck of a lot of time in the morning! As much as Julia adores comfortable clothing, she has an unusual affinity for button-down (or do you say, button up?) shirts. She’d wear a button chambray shirt every day if I let her. So no surprise, she is begging to wear this pink plaid split-back top daily. We’ve paired it with some comfy jeggings here, but it would also look perfect with the black leggings that we paired above with her bird “long shirt.” The jeggings have an elastic waistband (no zipper or button… a.k.a. #winning! ), and functional pockets on the back. 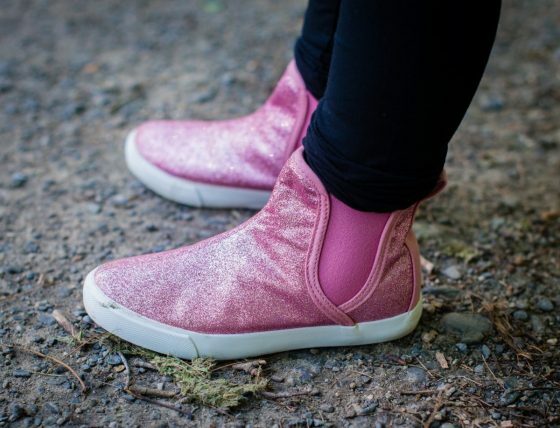 Don’t even get this girl started on her new glitter slip-ons. 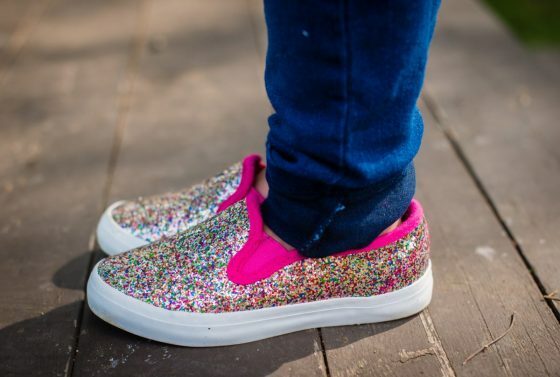 Shoes covered in rainbow glitter that she can slip on herself? 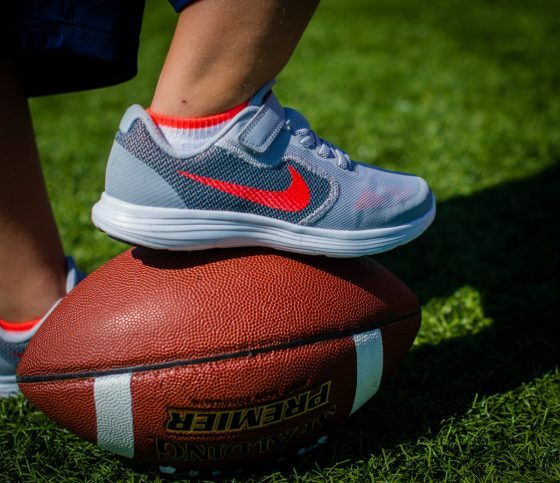 Looks like we’ve found her go-to shoes for the school year! Of course, we can’t forget big brother Ben. This happy-go-lucky guy will wear pretty much anything I choose, which is wonderful, because there’s never any arguing about clothing. I wake up to, “What would you like me to wear today, Mom?” He cheerfully donned this uber-soft chambray shirt and black skinny jeans, and genuinely loved the multi-strap high-tops. 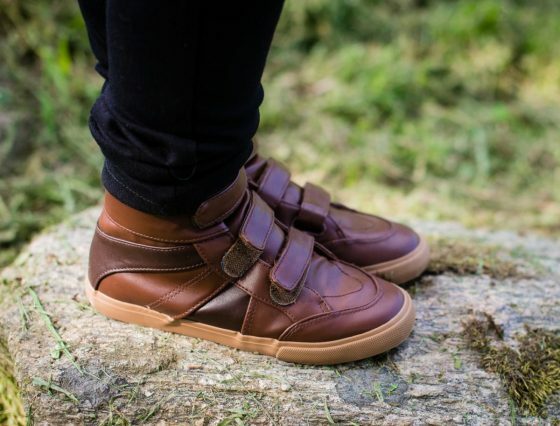 As much as pre-motherhood me swore my kids would never wear Velcro shoes, post-motherhood me freaking loves Velcro shoes because I don’t have to tie them. Ben, like many kids, is currently obsessed with all things dinosaurs. 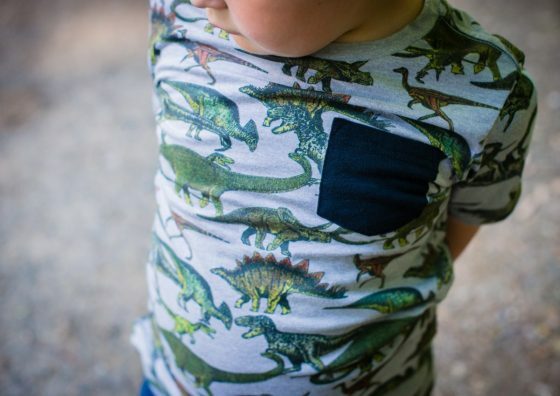 It can be hard to find a dinosaur shirt that’s not babyish, but also not scary. 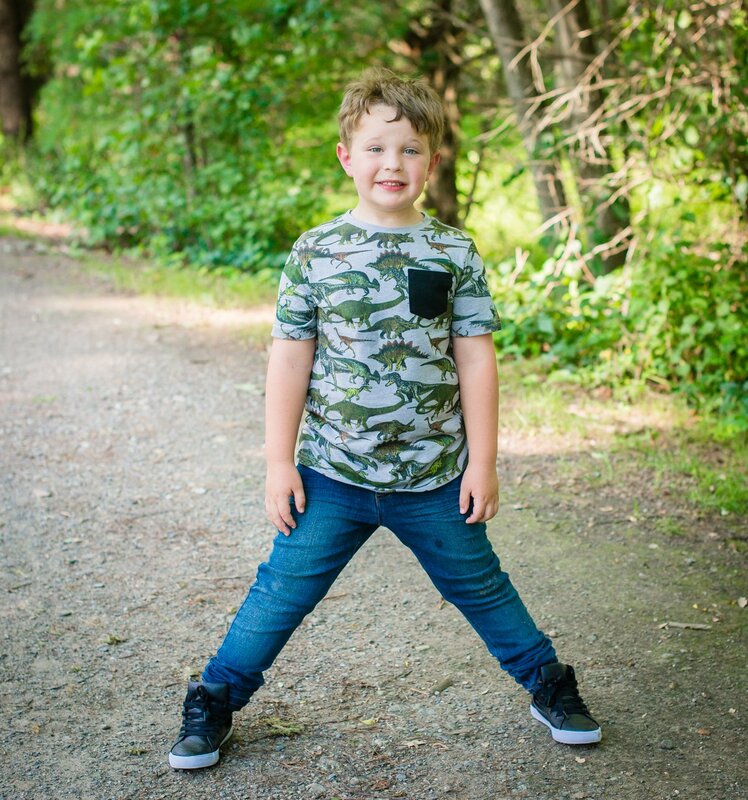 Despite being 5, he’s a big kid, and I’m buying him size 10 shirts this fall – which means the big boy department, which also means really scary dinosaurs (often with fresh/cheeky/rude wording on them) in most stores. I was thrilled to find this dino shirt that was perfectly age-appropriate and available in a larger size. 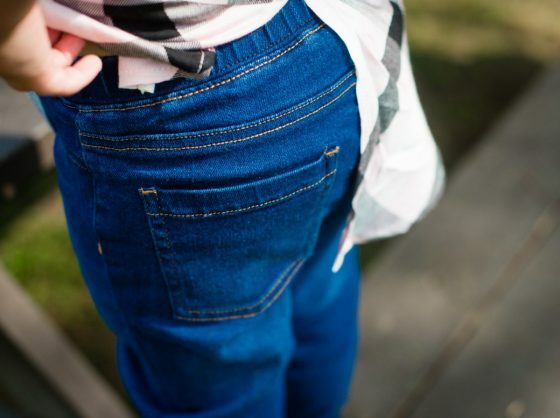 The skinny jeans are remarkably stretchy and comfortable, perfect for an active little boy. 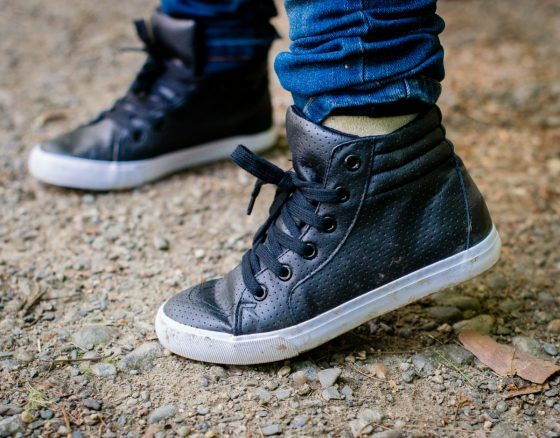 And the perforated black high-top sneakers really amp up the “cool factor” of the look. The best part of all of it, is the fact that we didn’t have to step foot in a store to pick out all these cool new duds. The package arrives in the mail (and again, what kid doesn’t love getting a package in the mail? 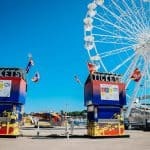 ), chock full of clothing tailored to your child’s unique tastes & style. Bless you, FabKids. My other least favorite back-to-school activity is shoe shopping. 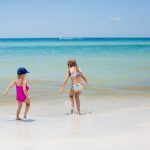 Apart from it being nearly impossible to wrangle three kids in a shoe store, and trying to convince them to try on eleventy billion sizes until you think you’ve found the right one – the shoes are so expensive. We’ve done cheap shoes in the past, but they fall apart within a few short months, and I need our shoes to last longer than that. We’re on a budget, and I can’t afford to be buying new shoes every two months, because the old ones have holes and the laces snapped. This past spring, after polling my friends on Facebook, I learned about Rack Room Shoes. And suddenly, shoe shopping changed forever, in the best way possible. Rack Room Shoes offers name-brand shoes that last – and at affordable prices. With three children and six feet I now need to outfit, any savings is much appreciated. 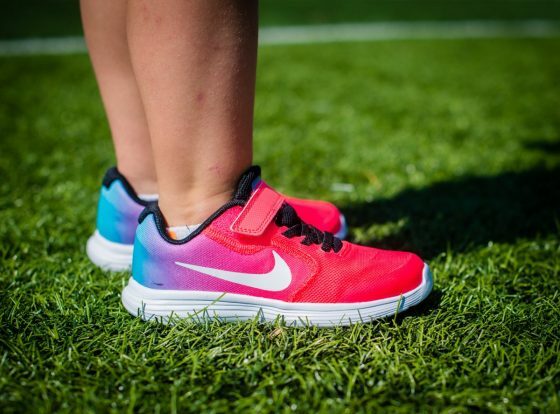 Do you even know how much full price sneakers are for three kids? This is really the destination for back-to-school shopping, with trendy shoes (including school uniform shoes!) 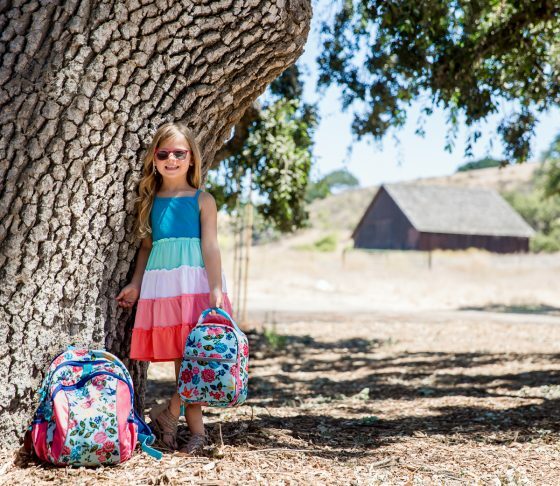 for all ages – from infant through adult – and they now carry backpacks and lunchboxes too. 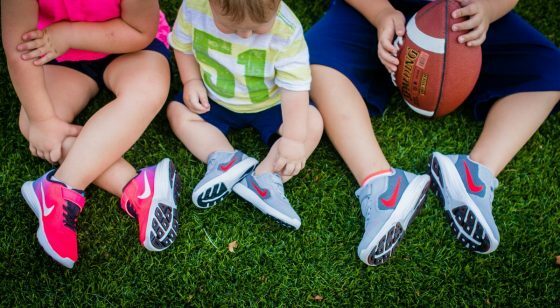 We finally took the plunge and started getting Nike sneakers for the kids and couldn’t be happier, because they actually last and hold up really well. 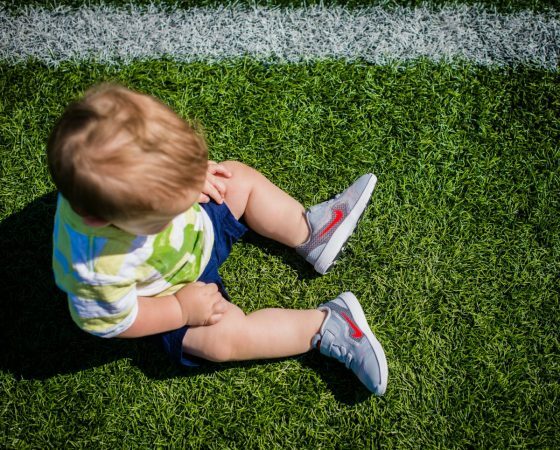 And our kids might as well be nicknamed, “The Sneaker Destroyers” because no pair has ever lasted – and still looked nice – after a few months. It’s actually shocking how long these Nikes hold up and still look amazing. Because I’m “that mom,” I opted to get matching Nike Revolution 3 sneakers for all three kids. Julia got a different color (Girls Preschool Revolution 3), but the same style as the boys (and really, how cute is it that the brothers have identical shoes?! Infant Revolution 3 for William, and Boys Preschool Revolution 3 for Ben.). Swoon! Hands down, the very best part of these sneakers, is the fact that the two older kids can put them on themselves. The laces are elasticized, and you don’t need to tie them – simply slip in your feet and attach the Velcro strap, and you’re good to go! It’s actually astonishing how long these sneakers last while still looking nice. Ben’s old pair from the spring still looks brand new, and he’s worn them for 4 straight months outside. And Rack Room Shoes isn’t all sneakers – they have a huge selection of other shoes too, for the whole family. Julia fell in love with these “cowboy sheriff boots,” a.k.a. 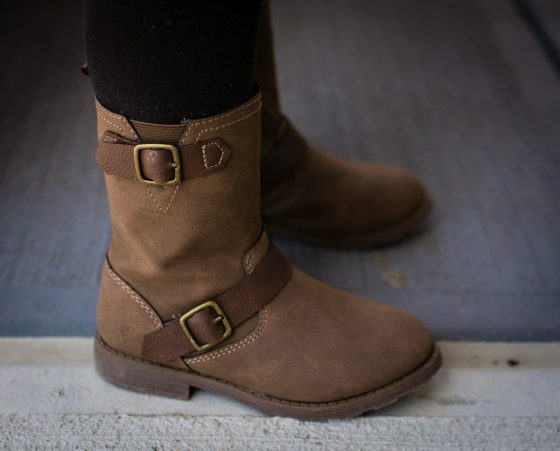 Carter’s Finola boots, and super easy for her to get on herself, thanks to the side zipper. Come fall, they’ll be perfect with a “long shirt” and leggings, jeans, or whatever crazy outfit combination she comes up with. Ben loves “looking fancy” (swear it!) 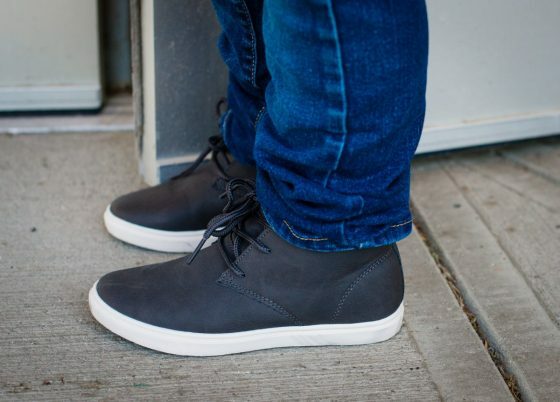 but also being comfortable, so these Perry Ellis Chucker Jr. chukka boots. The inside is super cushy and soft, but they look nice and dressy on the outside. #Winning all around, right? This dark gray faux leather shoe comes to about mid-ankle height, and feature a contrasting textured padded collar around the top. 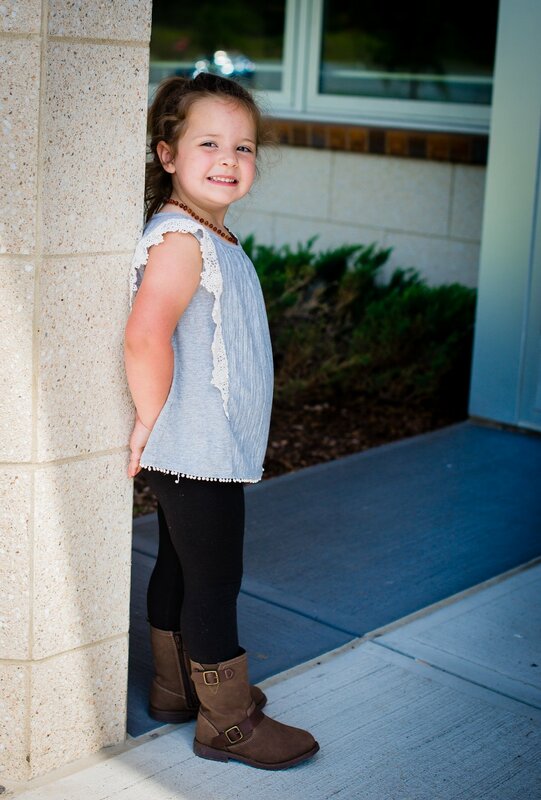 The selection at Rack Room Shoes is virtually endless, and you’re guaranteed to find something that your child will love – from sneakers to sandals to boots to dress shoes. Even with three day a week preschool, my girl needs a way to carry all her stuff back and forth for those three days she is away from me. 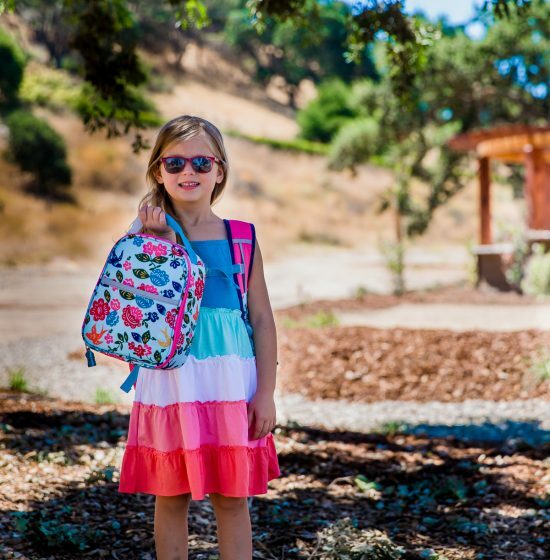 Preschoolers still carry a lot of stuff with them to school so you have to find a backpack that has some space but is not so huge that your child cannot wear it properly. Garnet Hill has some great options for kids of all ages and I freaking love their prints this year! Their Eco Backpack Jr. is functional but sized perfectly for young children. 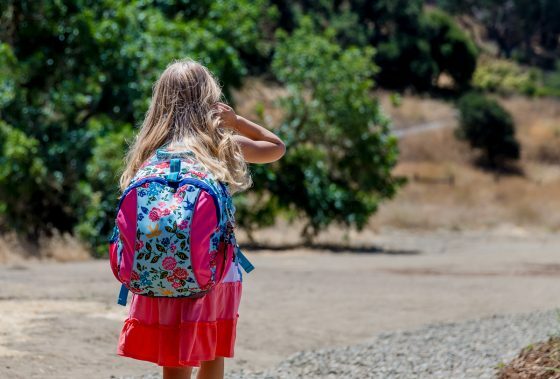 I can send my daughter into class with her folder, lunch and water bottle neatly in a lunchbox, and a change of clothes (just in case) and she is comfortable and her hands are free. Room for a standard size folder is actually a big deal for preschool. The teacher uses the folder to send home her “work” and communicate to me with notes. Most smaller backpacks are actually two small to hold a standard folder. 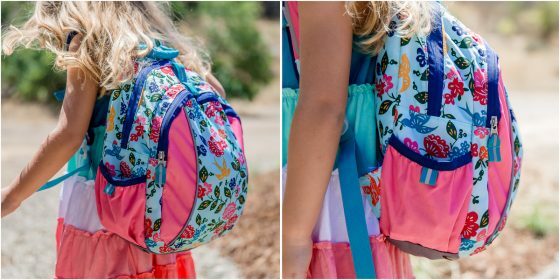 The Garnet Hill Eco Backpack Jr. has two compartments and the main compartment was designed with just this issue in mind. I can’t wait to see the treasures she will bring home this year. Not going to lie, a little bit of the artwork ends up in the trash before the year ends, but I genuinely love seeing everything she works on at school. I keep a box where I will forever store the extra special things she makes. The little side pockets expand to hold a water bottle. I love how well built this bag is. Made with recycled material, it is tough and easy to clean. No one wants to buy another bag halfway through the year because your first one is stained and gross with the zipper falling off. This bag will last more than one year in school. The patterns are beautiful. 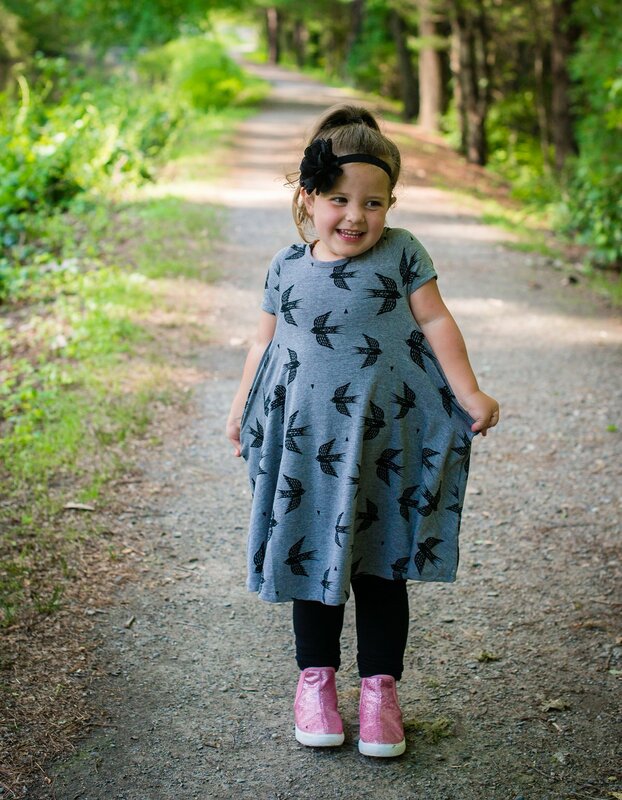 Shown here is the “Songbird,” but there are lots of other choices, including some for boys. There is as kid-friendly attachment loop for the Eco Lunch Pack. Speaking of the Eco Lunch Pack, it is also very durable but super cute at the same time. 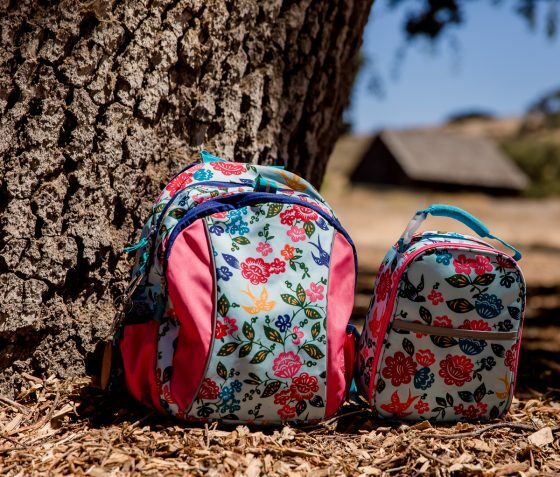 These bags come in patterns to match the backpack. It is insulated to keep everything cold. So I can send healthy, but perishable food with my daughter to school. 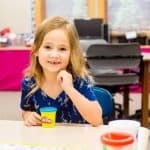 No need to feed her processed junk just because she is starting school. I love the thoughtful design of this lunch pack. The interior has a pocket with a Velcro closure that holds an ice pack perfectly. It holds a water bottle and attaches to the backpack. Perfect for preschool and the early years of elementary school. I am so thankful that preschool and kindergartners still have a nap time or rest period. However, you can’t exactly send a pillow and blanket to school, as most schools require a type of nap mat to sleep on. 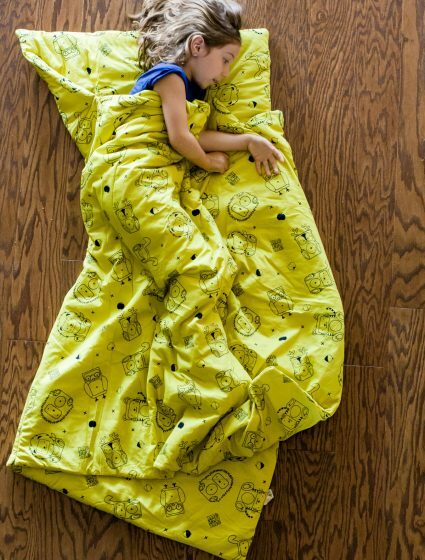 So I was ecstatic to find about Mezoome Designs who make a organic nap mat that is just perfect for my two in school. 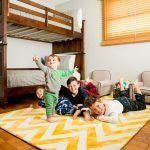 Their Organic Woodland Print Nap Mat is just the right size for younger kids and features an adorable gender neutral animal print that my kids love. This nap mat is not to big for them to carry and not too small for them to rest in. My kids take their nap mat to and from school every week. So the size is important not only for their comfort but so that it’s not too bulky for them to carry with them. I also love how my kids can easily unlatch and roll out it out, then easily roll it back up for storage. The best part is they can do this all by themselves, this gives them the independence they crave and helps me and their teachers at school. 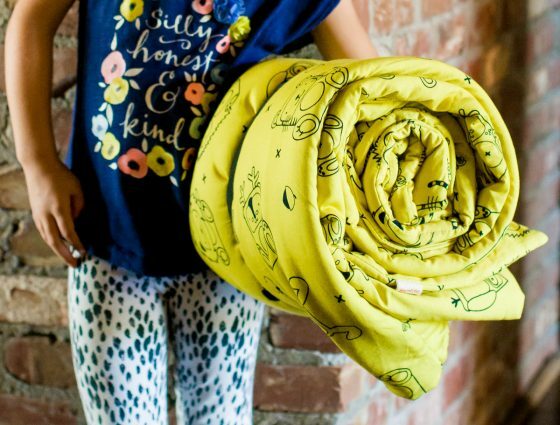 I really love that this nap mat is handmade from 100% organic cotton, and can easily be thrown in the washer and dryer on the weekends. 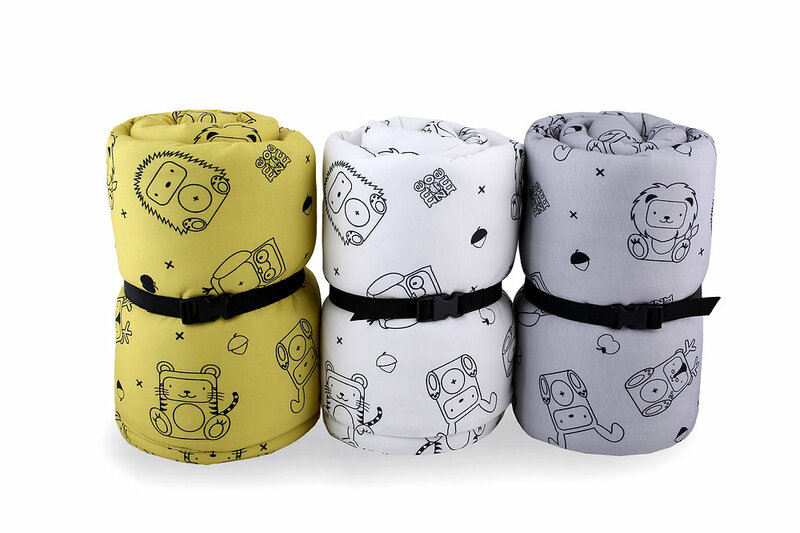 With a built in pillow and blanket, this nap mat really has it all, and as an added bonus we can bring it with us on trips so the kids always have somewhere to sleep. 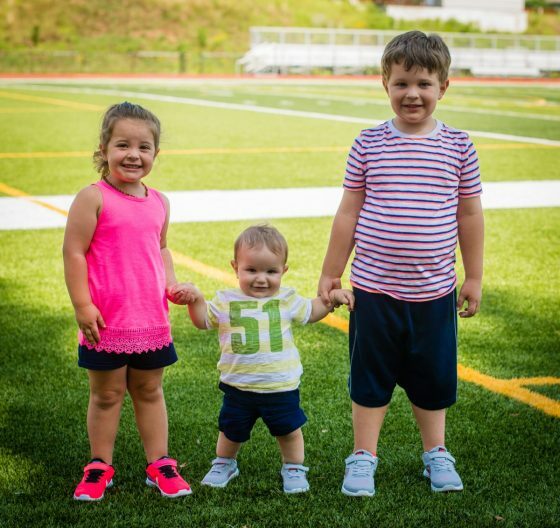 Just because big brother and big sister are starting school, doesn’t mean that this won’t affect baby William’s schedule! Poor little guy is going to have to be woken up extra early so we can begin the mad morning rush to the bus stop, and preschool dropoff. We live in New England, and fall mornings are chilly (as an understatement). 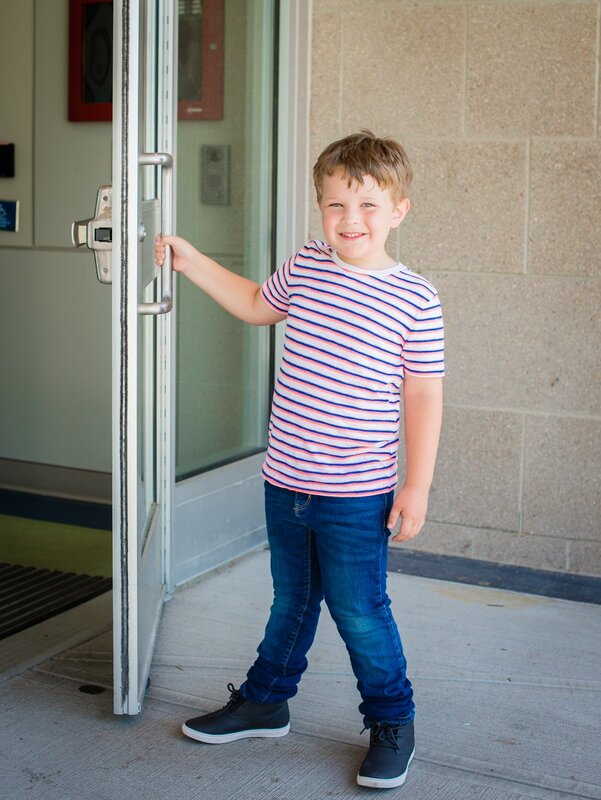 Since I’ll be ripping Will from our cozy warm bed, I want to make sure he’s still comfy-cozy as I rush him around with the big kids every morning, while we wait at the bus stop, walk Julia into her preschool classroom, and run errands together, just him and me. These merino wool thermals from Nui Organics are the perfect outfit for chilly mornings. They’re super thin and lightweight, and can easily be tucked under a regular outfit in the winter, or worn on their own as an outfit. Despite their light nature, these thermals are so super warm. 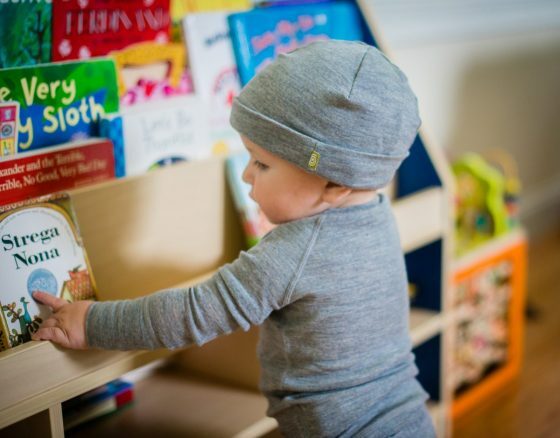 Can we pause and admire how stinking adorable William looks in the merino beanie? As are the leggings and crew shirt, it’s made from the finest quality 100% GOTS-certified organic merino wool. 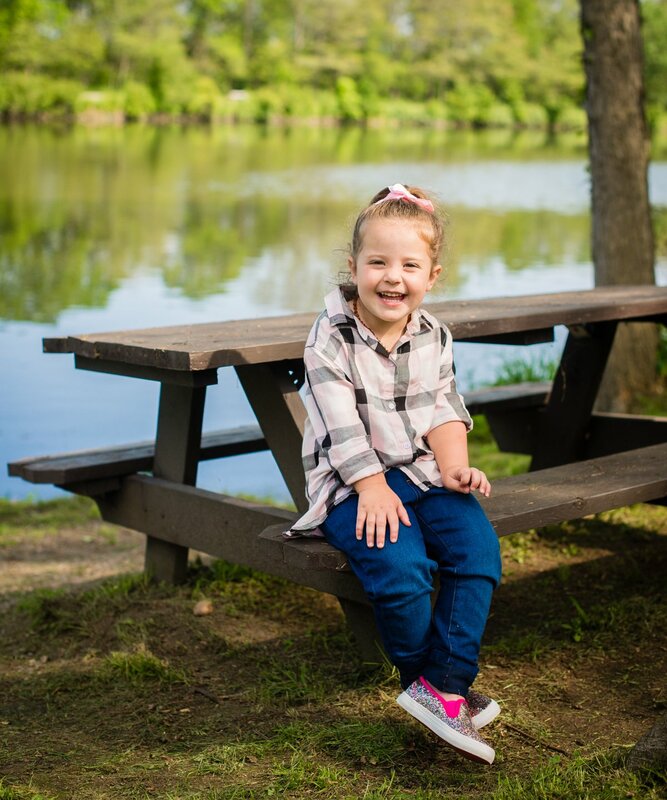 Each piece is naturally temperature-regulating, hypoallergenic, moisture-wicking, breathable, and quick-drying, perfect for keeping little bodies nice and warm. 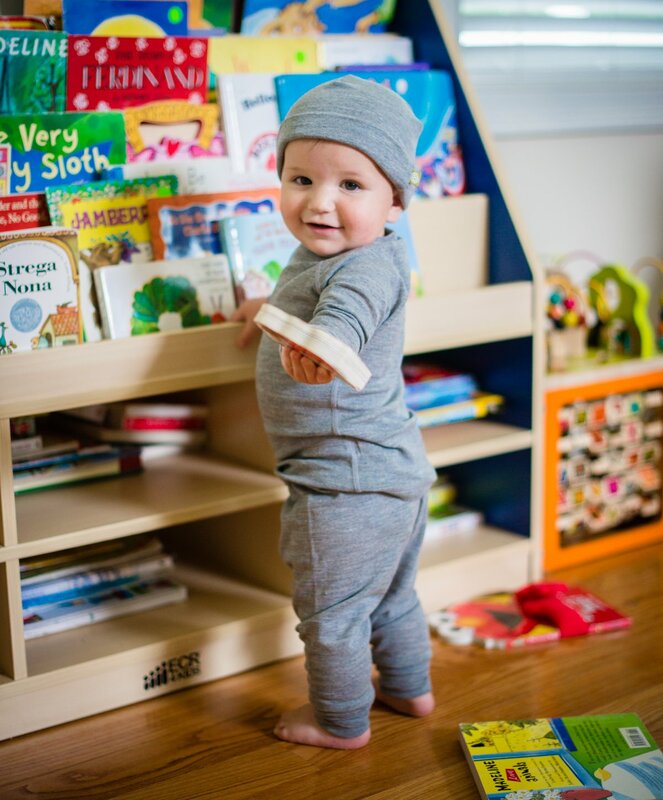 Merino wool is naturally flame-resistant as well, making these ideal pajamas for mamas who look to avoid toxic chemical flame retardants on jammies (*raises hand*). And the very best part? I was a little terrified to take the leap into merino wool, because I’m a disaster in the laundry room and ruin everything. 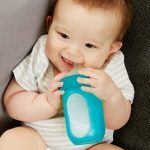 These pieces are machine washable, and able to be tumble dried! Best. News. Ever. 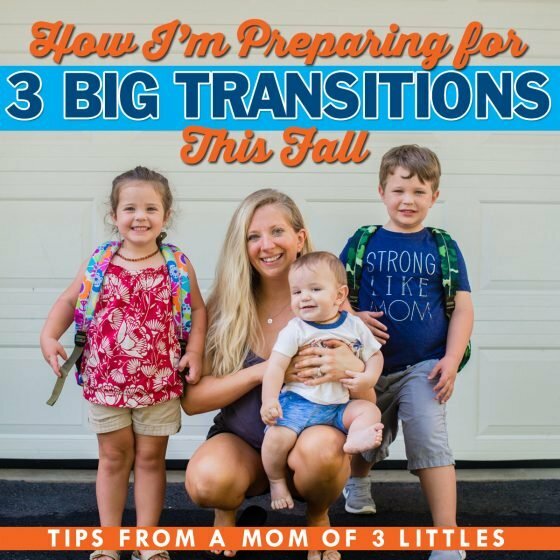 I hope these tips are helpful to you if you’re facing some big transitions this year! Good luck, and Godspeed, my friends. We can do this! Learn more of our favorite back-to-school products & tips in our NURTURE category!